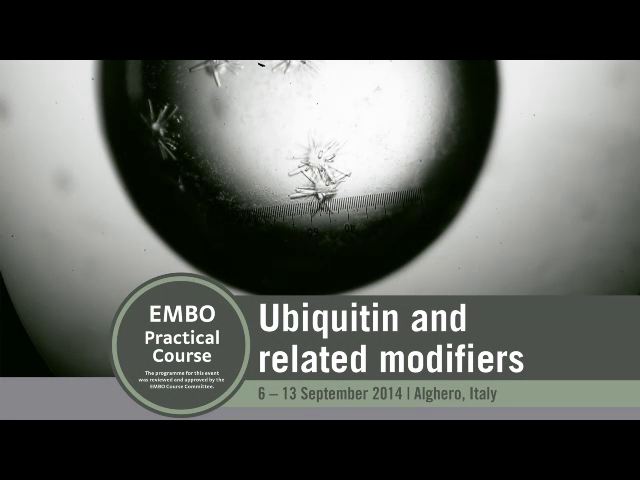 The main objective of this EMBO Practical Course is to present state-of-the-art methodology for the analysis of ubiquitination and the regulation of proteins by the reversible attachment of ubiquitin-related modifiers (UBLs). The course will be targeted at young scientists who are unfamiliar with this field. It will involve practical experiments demonstrating the use of conjugating and deconjugating enzymes and UBL receptors in vitro, and the identification and analysis of in vivo targets in yeast and mammalian cells. Also included will be a section on the bioinformatical analysis and prediction of UBL modification and recognition sites and other aspects of the ubiquitin system.